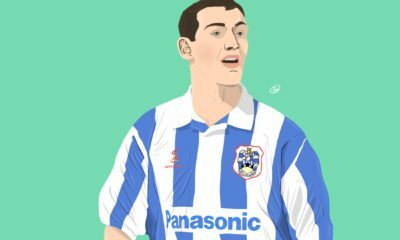 Having burst onto the scene two seasons back at the age of 17, Stendera seemed to have had the world at his feet; but a cruciate ligament rupture kept him out of action for a prolonged period, with the fear that it could ultimately take a toll on the rest of his career. Jump forward and the teenager has returned stronger, despite the injury, continuing from where he left off in 2013. Mini-Analysis: The amount of attacking midfielders the German Bundesliga manages to produce is quite astonishing; the league has created a monopoly on the position, as players with similar traits constantly come through. 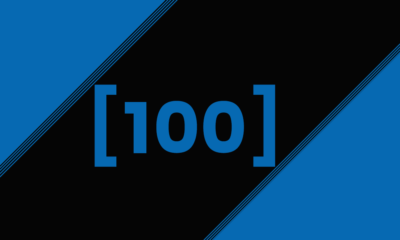 Stendera is one who stands-out, in this list ahead of both Maximilian Arnold and Max Meyer. 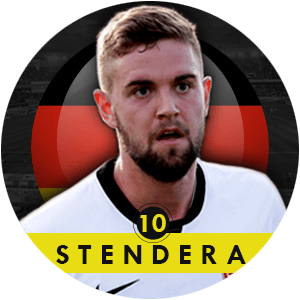 Showcasing intelligent control of the ball and confident in possession, Stendera even at a young age (despite injury troubles) has maintained his level of performance, being more than competent for the competitive league. His close control makes it difficult to win back possession, which aids his style of playing higher up in advanced areas. But unlike many young attacking midfielders, he isn’t restricted by just having the ball at his feet. He has the intelligence to combine it with a long range passing which admittedly hasn’t been showcase enough, but still sets him at a level. His set-piece deliveries add another dimension to having the teen in the side, being given the responsibility at Frankfurt even at this early age. Looking back: 2014 started off for Stendera in recovery from that long-term injury, making a return to action towards the end of the 2013/14 season and playing a grand total of 90 minutes across 5 games. 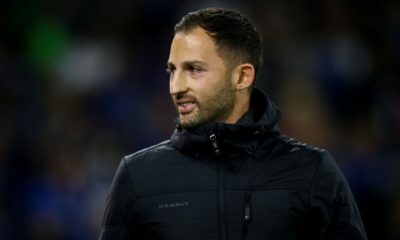 This injury crisis and lack of action pushed him under the radar but the Frankfurt man certainly came back stronger, and a more mature individual than what was seen in the 2012/13 campaign. Now an integral part of the Frankfurt side, up is the only way for Marc Stendera, with a hopefully injury free 12 months. France has become a hot-bed for talent, with experts arguing that Les Blues have arguably the brightest future and the most impressive talent pool in the upcoming generation. For Morgan Sanson, who a year or so back, was playing in the second division of France, to feature as the highest placed French midfielder on this list, speaks volumes in itself. Mini-Analysis: Morgan Sanson is the text-book definition of a versatile midfielder. 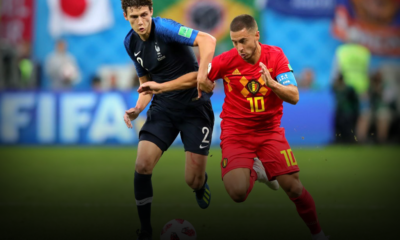 The 20-year-old has been deployed in a variety of positions since his move from Le Mans, playing deep in a defensive role, out wide in attack and further forward in an advanced midfield zone. 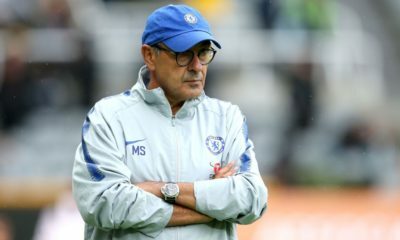 What makes him particularly stand-out is the fact the he looks comfortable wherever he is made to play, understanding the different duties of each role and displaying tactical intelligence in executing it. While more than capable up ahead, Sanson is best suited to play a deeper role, where that intelligence is put to full use with his ability to read situations and regain possession in a defensive phase. 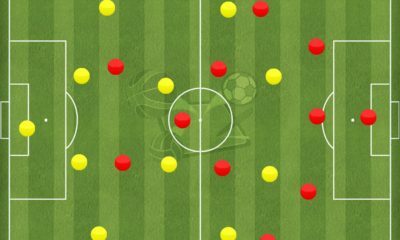 His control allows him to move the ball forward while retaining possession, dribbling his way past opponents and ever so often losing his marker with a simple turn and touch. When played in a deeper role, he is often free from constant marking, allowing him to flourish with his creative vision to find opponents. 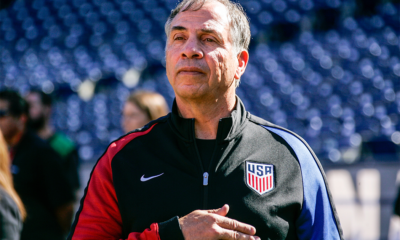 You can find a detailed Scout Report on him here. 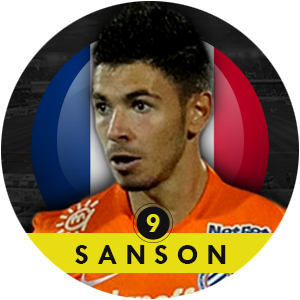 Looking back: Sanson settled into Ligue 1 footballer rather easily, un-fazed by the step-up from the lower division. And while he began showcasing his talent in the 2013/14 campaign, this season has been more revealing of his abilities with Montpellier having lost attacking midfielder Remy Cabella and defensive Benjamin Stambouli to Premier League sides. His versatility has only been further enhanced with Sanson enjoying the attention and in fact performing better than his two ex-team mates. With an average age of 22.9, Belgian giants Anderlecht possess many exciting young stars within their ranks. One such player is attacking midfielder Dennis Praet; the starlet, blessed with tremendous ability and burgeoning talent, has the potential to be the next big thing from Belgium. Mini-Analysis: A diminutive playmaker with exceptional close control, Dennis Praet epitomizes the number 10 role. With exceptional balance and agility, the Belgian has the skill to dance away from defenders. While he isn’t the quickest, Praet knows how to use his acceleration in bursting away from challenges and beating defenders; in many ways, this composure and understanding sets him apart from his peers. Aside from his top-notch dribbling, Praet also has the ability to split defenses. He has the vision and technical ability to pull off the most challenging of passes, and in his floating role between the lines, Praet can unlock the most resilient of defenses. Even so, Praet knows when to keep things simple; his maturity is impressive for his age. Because of his size, the most obvious weakness in Praet’s game is his slight frame; even as he has adapted his game to his physical attributes, Praet needs to strengthen if he wants to play in better leagues. 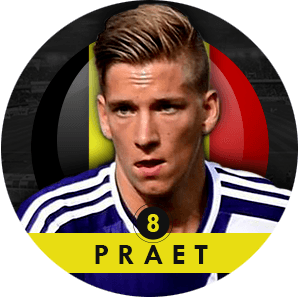 Here’s a detailed Scout Report on Dennis Praet. Looking back: After signing a contract extension earlier this year, the playmaker has become a key member of Anderlecht’s first team. Praet scored the final goal against Lokeren in the Jupiler Pro League Playoff to seal Anderlecht’s 33rd league title. This season, Praet has already reached a milestone of 100 competitive appearances for the club. With 5 goals this season (at the time of writing), including a strike against Galatasaray in the Champions League, Praet is proving to be quite a potent threat. His performances have earned him a call up to the Belgian national team, and he was rewarded with a debut off the bench against Iceland. Hojbjerg joined Danish Giants Brondby’s youth system at the age of 14 in 2009 and 3 years later he found himself in one of the world’s biggest football clubs. He made his debut for the German outfit just at the age of 17 against FC Nurnberg late in 2012-13 season. Ever since it hasn’t been a smooth journey upwards but Hojbjerg has shown lot of promise and if monitored he could solve the post-Schweinsteiger central midfield issues for Bayern. Mini-Analysis: For a 19 year old, he is tall and well-built and quite solid in his role in the squad. So far, Hojbjerg has managed to show us that he has good vision and can pick out the correct pass on almost every occasion, while he is also calm and composed on the ball. 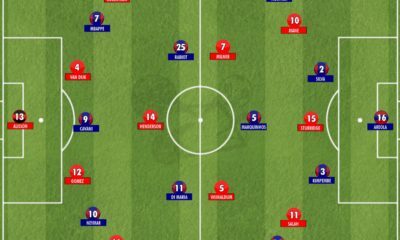 In fact, recently against CSKA Moscow at the Allianz Arena, one could have easily have confused the Dane for Schweinsteiger who has running the show. You can find a detailed Scout Report on him here. Looking back: In 2011, Hojbjerg was awarded the Danish under 17 player of the year title and 2 years later, he followed the award up with the Danish Talent of the year award which he received from the Danish PFA. Hojbjerg’s development and performances for Bayern over the last 2 seasons did not go un-noticed as he was called up to the Danish national team for the first time in the month of May, this year, for friendlies against Hungary and Sweden. He was an unused sub for the Hungary game but he did make his debut in international football against Sweden on 28th May 2014 playing the full 90. He has even scored a goal for Denmark in a home draw versus Armenia in the Euro 2016 qualifiers in late September. Though he has scored for his country he is yet to open his account for his club after making a total of 24 career appearances, mainly off the bench for a few kicks in the dying moments of the game. At just 17, Youri Tielemans is the youngest player ever to appear in this feature. Coming through a club relying on it’s youthful core in a country which has established a reputation for creating the best superstars of tomorrow, Tielemans is in good hands and will only continue to be. Mini-Analysis: Despite still being in his late teens, Tielemans’ creativity is frighteningly brilliant. It’s hard to imagine how a teenager could have been so well developed at such a young age. Preferring to sit in his deeper position, Tielemans thrives on playing long-balls into threatening positions with either foot. And when you think his game is restricted to longer balls when not under pressure, he surprises you by bursting into advanced areas and not shying away from playing shorter more direct passes & touches in crowded zones. The common narrative for a teenager playing professional football would be to declare his abilities as ‘raw’ but Tielemans already looks the finished product. You can find a detailed Scout Report on him here. Featured at #14 in our Talent Radar Top 20 Young Players of 2014 special. Looking back: Along with a whole host of Anderlecht youngsters who have been named in this 100 Best Young Players to Watch in 2015 feature, Youri Tielemans won the Belgian Pro League in the play-offs, having finished second to Standard Liege in the regular table. Having burst onto the scene initially last season, Tielemans was struggling to nail down a place in the Anderlecht side with coach Besnik Hasi rotating players and enjoying tactical flexibility. It was only in the championship play-offs that Tielemans truly stood out starting and finishing all of the side’s 10 games. 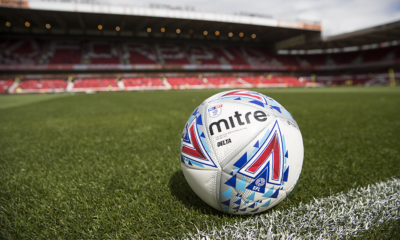 English football constantly comes under criticism for the lacking of chances given to the youth. Despite possession world-class resources, the academies rarely produce players who have a telling influence on the first-team. But Southamptons’ famed academy continues to lead the way in England, with James-Ward Prowse the latest to establish himself, having been given an opportunity at an early age. Mini-Analysis: His vision and creativity make him an ideal option for the deeper central role, but tempted by his versatility, managers have shifted Ward-Prowse around the midfield area. Asked to play in a wider role, the youngster has looked a bit awkward, favouring a move to a more central position. It is from here where Ward-Prowse’s incredible ability stands out. 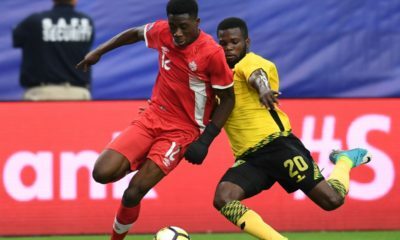 Blessed with an eye for a pass, the 20-year-old is able to pick out opponents well while his free-kick ability continues to be his primary goal scoring source. While not being the most defensively gifted, he more than makes up for it with his hard-work in regaining possession. Here’s a detailed Scout Report on James Ward-Prowse. Looking back: Ward-Prowse’s development in an impressive Southampton side continued, but after a summer that tore the team apart, his importance only grew. The side impressed under new boss Ronald Koeman, as the academy graduate has had to step-up becoming one of the more experienced players in the side (given the changes at the club). 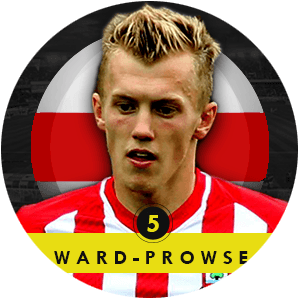 But 2014 won’t be remembered as the year Ward-Prowse broke through, with a bit of inconsistency still in his place. 2015 will prove to be an important venture for JWP, as he battles the fine line between stardom and young English obscurity. 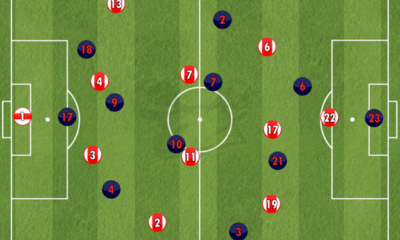 Mini-analysis: The attacking midfielders has fantastic technical ability, superb vision and delightful passing. 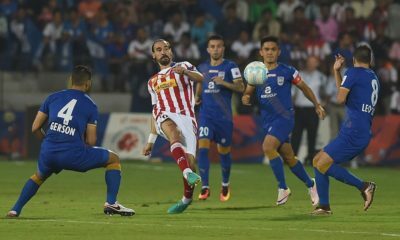 When on top form, he is comparable to David Silva’s style of play: always looking for the perfect through ball, with an eye for goal and wonderful technique. His impact has been far bigger than what stats tell us. 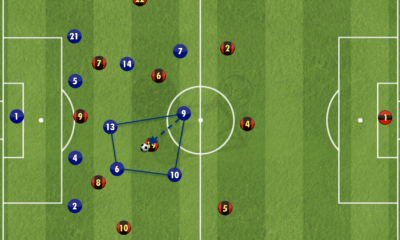 He fluidifies Heerenveen’s game with his constant will to go forward, either with the ball or with a pass. Sinkgraven constantly creates danger with his ability to dribble past any player at any given time. Looking back : Sinkgraven has played every single Heerenveen league game in 2014. That is simply remarkable for a boy that recently turned 19. He played his first game for Heerenveen back in January of this year, and ever since, hasn’t left the starting eleven anymore. That alone says enough about the form he’s been in. The Dutch midfielder has revived Heerenveen’s hopes of European football. That achievement will clearly depend on whether the young player will be able to keep his form up. A Dutch national team call up is looming and it would be a well deserved reward. There are not many 20 year olds that can boast of having nearly twenty caps in their international career and a World Cup outing under their belt. Mateo Kovačić can. Mini Analysis: Kovačić started off as a classic number 10, but his game at Inter Milan transformed as he was operated more as a regista or deep-lying playmaker. 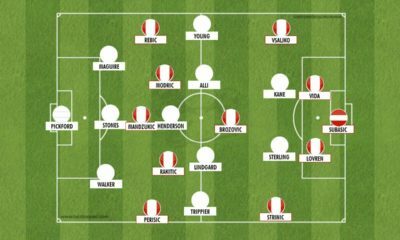 As Niko Kovac hasn’t yet found his perfect midfield trio, Kovačić has been operated in the number 10 role for Croatia and shown that he has the ability to play anywhere in the midfield- centre, behind the strikers or out wide. What he has particularly added to his game this year is physicality. The Croatian is not someone who boasts a big stature and he could be easily bullied off the ball. There is considerable improvement from Kovačić in this department this year. The 20 year old boasts a good vision and his ability to link up play helps his side in transition i.e, move the game swiftly from defence to attack- something which is so crucial in the modern game. He loves to feed the attackers and his through balls which come off are absolutely delightful to watch. The Croat makes numerous key passes in a game. Kovačić is a great asset defensively because of his ability to make interceptions and perform clean tackles. His shooting has been a weakness, and it has a lot of scope for improvement despite him getting better this ongoing season. Here’s a detailed Scout Report on Mateo Kovacic. Featured in our Talent Radar 100 Best Young Players to Watch in 2014, at #19 in the midfielders category. Looking Back: Immense transfer speculation was there over Kovačić’s future as he was found warming the bench for a large part of the 2013-14 season. He started just 14 games and came on as a substitute in the 32 league games he featured in. Real Madrid, Manchester City, Barcelona were all reported to be in for the player but Inter managed to keep all the suitors away from the youngster. 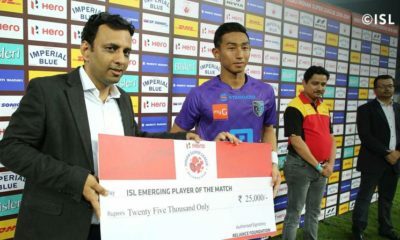 This season, he has started fourteen out of fifteen matches in the league and the club obviously realize that they have to keep potentially one of the hottest prospects in football happy. He has done well with regular game time and his game seems to be maturing and getting better constantly. Not to mention that Kovačić (and Icardi) are the only bright spots in a very average Inter side. He has been a consistent member for the national team and was a part of the rather disappointing World Cup campaign. Having risen to stardom while still in his teens, Raheem Sterling has had to deal with pressure & expectations fairly early on. And while the tiny wonder continues to surprise, it’s easy to forget just how far he’s come at such a young age. Mini-Analysis: Exploding down the touchline and taking on opponents in dangerous positions around the box, Raheem Sterling is the ideal livewire every quick attack requires. An energetic burst of pace, a surprising show of physical strength and a much improved defensive contribution show that Raheem is not a raw youngster. 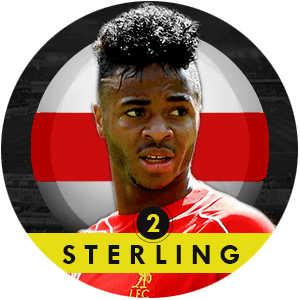 While his physical appearance speaks of the contrary, Sterling has grown into quite a formidable all-round performer. Quick feet to go with his existing ability have often made him a terror for opponents to handle, and at just 19 there is still a whole level of frightening development to continue. Here’s a detailed Scout Report on Raheem Sterling. Looking back: The Englishman played a key role in Liverpool’s surprising title challenge in 2014 that fell apart at the last hurdle. His exploits were enough to convince Roy Hodgson of a call-up to the World Cup squad, a spot he has since made his own. The pressure only intensified since Luis Suarez’ sale and Daniel Sturridge’s injury. It’s pressure he has slightly struggled to deal with, but it’s part of his development and progress that keeps him from being a complete finished product. The year ended magnificently for Sterling, having received the prestigious Golden Boy award. Hakan Calhanoglu grew up in Mannheim of Germany, before moving on to Karlsruhe, Hamburg and Leverkusen while getting called up to the Turkish National team in 2013. An attacking midfielder by trade, Hakan’s style and elegance on the ball has seen him sought out by some of the world’s best. Mini-Analysis: Operating behind the striker or across the midfield, Calhanoglu’s style of play is easy on the eye. A mainstay in the Hamburg team that narrowly escaped relegation last season saw him bag 11 goals and assist 4 in 32 games. Currently, at Leverkusen, he has played more than 1600 minutes (always as a starter) of football in all competitions, which is a great benchmark for a player like him. Young players look for a good amount of games – especially when they start. 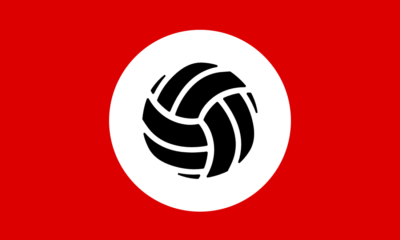 Calhanoglu is also under a coach (Roger Schmidt) whose philosophy is to attack and to counter press immediately, so Calhanoglu will benefit defensively and offensively. The technical ability that oozes out of Calhanoglu is mesmeric, as almost all of his goals are either: long shots or free kicks. 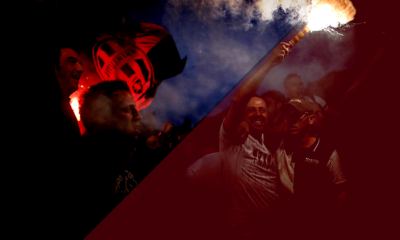 He has scored 5 goals this season (at the time of writing)… all 5 have been from free kicks. The accuracy and precision offered by his right foot make him arguably one of the best free kick takers in the world (the one against Dortmund while playing for Hamburg remains the most memorable). Here’s a detailed Scout Report on Hakan Calhanoglu. Looking Back: Escaping the traumatic and horrible situation that is relegation, securing a 15 million Euros move to Leverkusen and playing 54 games in the year of 2014 (as of the 13th of December 2014). The embarrassment of forcing himself out of HSV by faking that he was “mentally unfit” – according to HSV sporting director, Oliver Kreuzer – will dent his reputation as a player who cares about himself only, and will do anything to take the next step into his career. But his ability on the pitch almost goes unparalleled, as he leads a Leverkusen side looking to take the currently vacant spot of challengers to Bayern’s dominance.